[ARCHIVED THREAD] - UNKNOWN UPPER! NEED HELP!!!!!!!!!!!!! 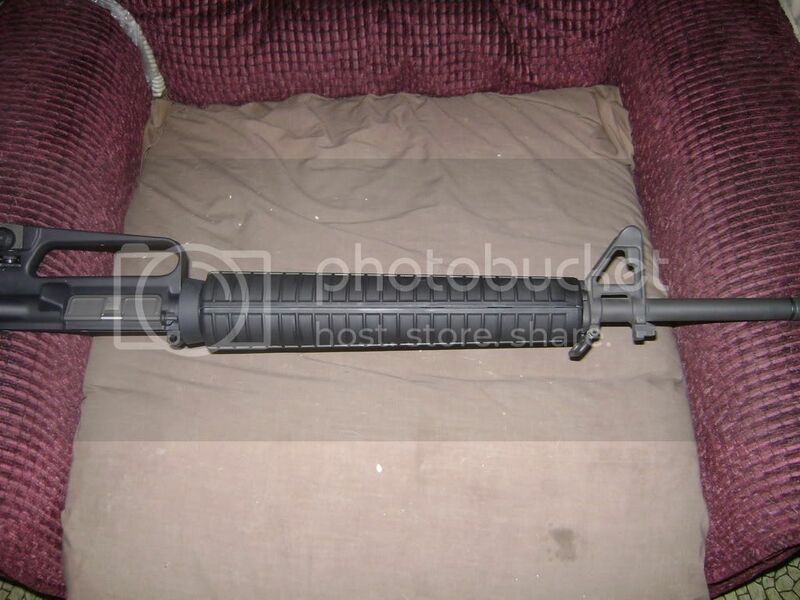 I need help, i bought an upper on a smokin deal, but my coworker bought it some yrs ago from another party and had no real info. 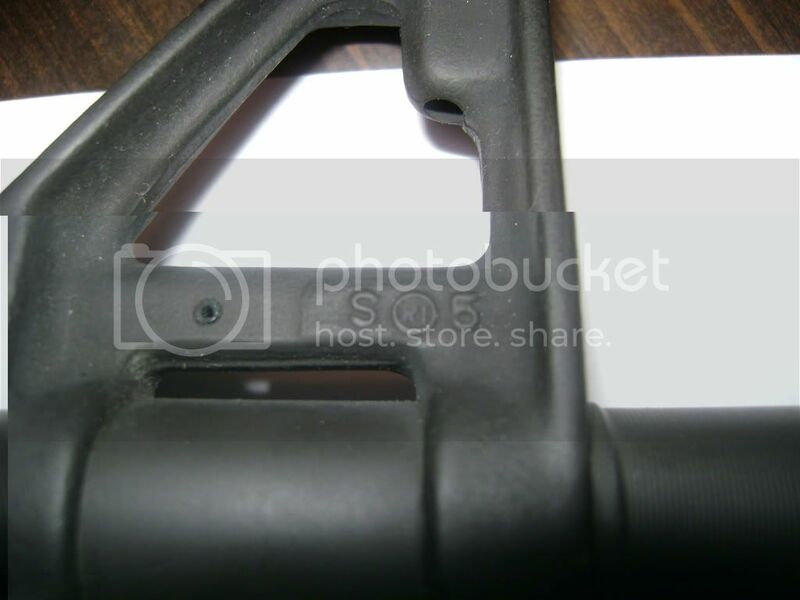 This is where i need help, if someone could tell me the manufacture or any thing else it would help cuz there is not even a caliber stamp on this upper any where, all i found was a forging mark. so if anyone can tell by my pics please let me know. Nobody is going to be able to identify that for you. That forge mark on the FSB means nothing. My guess is that it was a gun show or internet cheepy. Most likely Wilson or Model 1 parts. All that really matters is how well it shoots. I bought a Model 1 upper a few years ago that wasn't marked. When I get home tonight I'll look and see if at least the FSB is marked the same. Other than that I can't help. Did you yank off the handguards and look for markings there? I've never seen a caliber stamp on an upper. There should be a roll mark on the barrel indicating caliber and twist rate of the barrel. But other than that your on your own. If your unsure about the barrel you can get a set of gauge's from a lot of venders here on this site to check for throat wear, so as to asertain weather or not the barrel is shot out or not. Bring it over. Preferably with a lower parts kit and an A2 stock. We'll have you a complete A2 rifle in less than an hour. For what you paid for it, I don't think it matters that much who made it, though it would be nice to know. Glad to see you finally found your way over here. What if die hard happens?